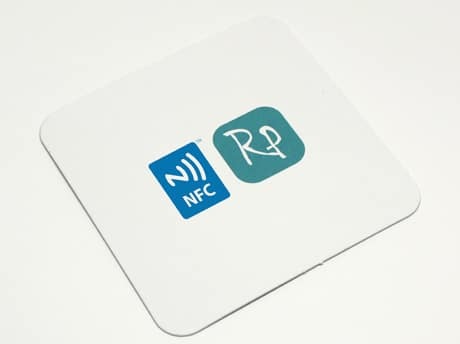 NFC tag supplier RapidNFC has partnered with UK-based printer Rutland Print to introduce beer mats that incorporate an NFC tag. The cardboard coasters, used in pubs to catch drips from drinkers’ glasses, can be full colour printed on both sides and use a lamination construction process that provides the look and feel of a regular beer mat with the NFC tag fully enclosed within the mat, says RapidNFC. “RapidNFC are always looking to create great NFC products and Rutland Print’s experience and skills have meant that together we can offer an up to date version of a classic marketing opportunity,” says CEO Phil Coote. What is the purpose of NFC coasters? To prevent theft? (That makes no sense … I thought one of the main purposes of coasters was to be swiped, to promote the bar or restaurant they advertise.) I’m mystified about this.